Just staring at the title of this post has me all giddy! The holidays are one of my favorite times. Relatives are seen more, everyone, no matter the age knows songs that are on the radio. Whoa, I almost got sucked into the cheery vortex there. That could have been bad, and have ended with thousands upon thousands reasons as to why I love the holidays so much. Close one! A memory that I always have is putting on a movie, putting the fireplace on and cozying up with the family dogs and falling asleep to it. Claymation flicks are still one of my favorite genres to watch during this time of the year. So, to commemorate this sleepy and lovely memory, I thought that I would share with you my top ten movies to put on while you decorate the tree, have in the background during your gingerbread house decorating or cuddle up and fall asleep to. It's A Wonderful Life // Yes, it is lengthy and you think that it is about to end two times before it actually does, but it is a classic and brilliant! The Holiday // A holiday movie that is also a rom com? Count me in! The Nightmare Before Christmas // Tim Burton, genius! Frosty the Snowman // Oh yes, the animated version that was put on at the majority of my classroom holiday parties growing up! The Polar Express // The book was amazing as is the movie. One year I received the book with a jingle bell of my own inside! A Christmas Story // It just doesn't feel like the holidays without popping this into the DVD player or seeing a theater version. Dr Suess' How the Grinch Stole Christmas // It had to be said, this movie is hilarious. So much of why I loved it has only gotten better as I've gotten older! Rudolph, the Red-Nosed Reindeer // Claymation has my heart, there I said it! Elf // Duh, Alex! I accidentally forgot to include this because I watch this movie year round. Anyone else? So what do you think? Did I toss a pretty good list together? 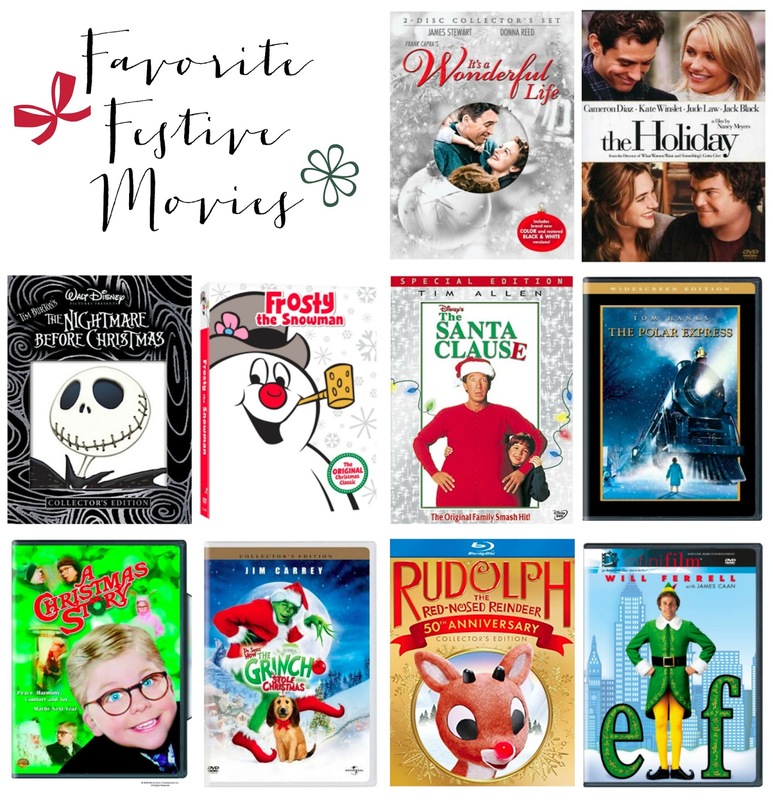 Certainly there are some that I couldn't get to, tell me in the comments below what your favorite holiday movie is!